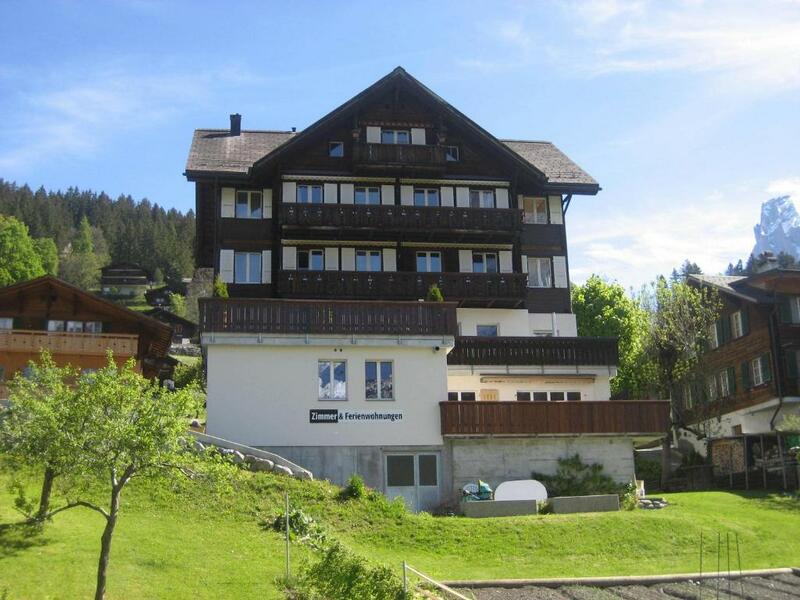 Very friendly hosts, amazing view, great location and good facilities! Michele was very nice and helpful. The location was close to train station, perfect for these who seeking quietness. Have everything you need with in the house. The view from the yard was stunning!! I love that the apartment had everything you need. If you need to wash your clothes there is a washing machine and a dryer at the main house which you pay a small amount of money for. Michele and her husband were great hosts and made sure our stay was comfortable. They went the extra mile to fix some trouble that we accidentally caused without any complaints. There was also a thick blanket of snow at the backyard with an amazing view of Eiger mountain. The host (Michelle) was very friendly and accommodating. She provided tips and clear instructions on different parts of the property. She even stopped by to check if we need something. 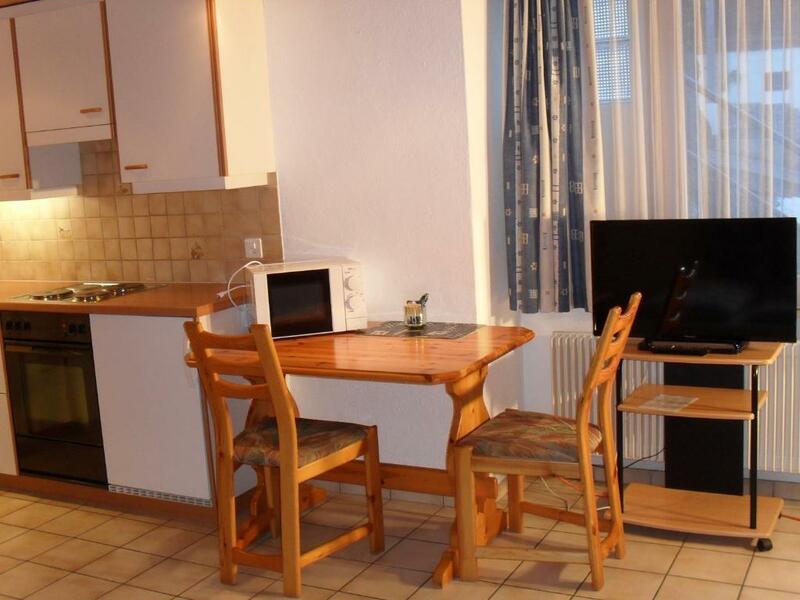 The location is great as well - walking distance from the train station. Host is friendly. 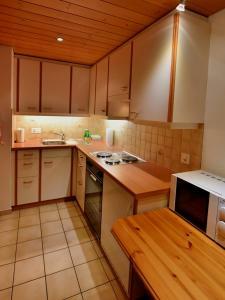 Apartment is clean and have kitchen. Close to the train station. Definitely will stay again. Everything was good. the place was very clean and the host is very friendly! 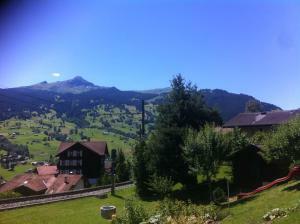 I could see the eiger at our terrasse. I stayed with my mother and she loved this place. I would like to stay here again once i visit grindelwald again. Michele is friendly and helpful, she knows what we wants. Clean room and excellent kitchen with everything. We highly recommend it to everybody and it is my best choice. Lock in a great price for Spillstatthus – rated 9.7 by recent guests! Located in Grindelwald, just a 5-minute walk from the train station. 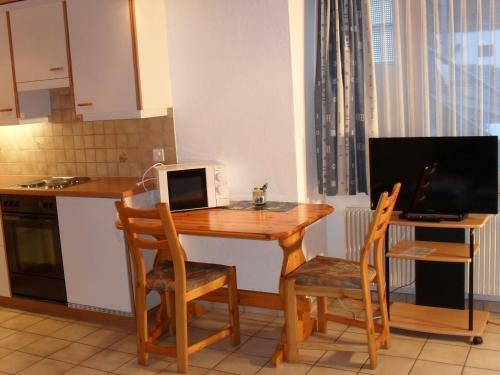 The studio has got a combined living and sleeping area with a kitchenette and a dining area, bathroom is with shower and toilette. The studio has a separate sitting area in front of the house, since it has no direct view to the Eiger. 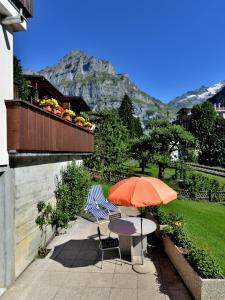 The sitting area has a beautiful view to the Eiger north face and the surrounding mountains. 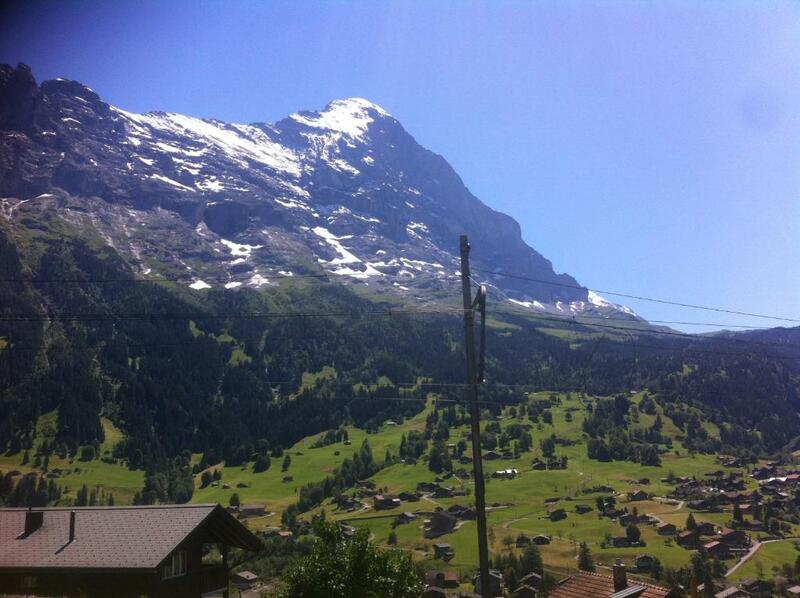 뀐 Located in the top-rated area in Grindelwald, this property has an excellent location score of 9.6! When would you like to stay at Spillstatthus? 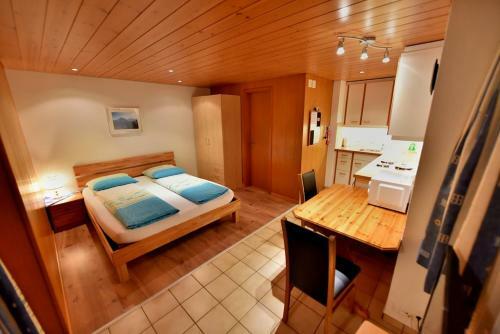 This studio comes with a combined sleeping and living area, a well-equipped kitchenette with a dining table for 2 guests and a bathroom with a shower. Seit Frühling 2012, vermieten mein Mann (Christian) und ich (Michèle) Wohnungen. Wir sind gerne unterwegs und können somit viele Insider Tipps rund um Grindelwald geben. Ich (Michèle) bin Hausfrau/Mutter und verwalte + putze die Wohnungen. Wenn ich unterwegs bin, habe ich meistens mein Handy dabei und somit können Sie mich erreichen, wenn Sie ein Problem oder Fragen haben. Unser Haus ist 5 Gehminuten vom Bahnhof Grindelwald / Zentrum entfernt. ... somit können Sie auch Ihrem Auto Ferien gönnen. Die Molkerei liegt 250 Meter enfernt und bietet viele verschiedene Käsesorten und hervorragende Milch an. Der Coop (Supermarket) liegt gleich visavis vom Bahnhof. House Rules Spillstatthus takes special requests – add in the next step! Please inform Spillstatthus of your expected arrival time in advance. You can use the Special Requests box when booking, or contact the property directly using the contact details in your confirmation. The fan in the toilet is too noisy. This is not their fault but if there is snow, you would have to drag your luggage through the snow to get to the apartment from the train station. So even though the apartment is only 300 m from the train station, the snow and ice made it much harder to get there. But again, not the hosts' fault at all. Lovely, friendly welcome. Perfect location. Excellent location. 1、Owner is very nice and friendly. 2、Location is suitable staying and vacation. 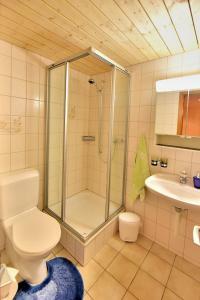 3、My wife and me loved this apartment which is like our sweet home. 4、The apartment with the environment has the greatest mountain viewing. 5、I'll choose and stay this apartment when we'll be back Grindelwald.